For years I have resisted Quinoa. And for what reason I do not know. The internet had been alive with it but I refused to budge. "Quinoa ( /ˈkiːnwɑː/ or /kɨˈnoʊ.ə/, Spanish: quinua, from Quechua: kinwa), a species of goosefoot (Chenopodium), is a grain-like crop grown primarily for its edible seeds.It has a high protein content and it is a good source of dietary fiber and phosphorus and is high in magnesium and iron. Quinoa is also a source of calcium, and thus is useful for vegans and those who are lactose intolrant." And then one day I got a frozen box of cooked quinoa from Trader Joe's, the kind which says defrost and cook in microwave for 12.5 minutes. It was a disaster. Really. I don't know how I could have gone wrong with those instructions, there were barely any. But it was so bad that D refused to eat any of it.So there went my Quinoa dream. Then again one fine day while on vacation in Cape Cod, I spotted a Trader Joe's. Of course I had to go in. More important than disturbing the colony of whales and ogling at them I tell you.Since I couldn't buy anything frozen, I bought a whole packet of uncooked quinoa and carried it all the way back home where it sat in the pantry for almost two months. Until today that is. Watching the opening ceremony of the London Olympics seemed a befitting time to try a new grain. The opulence of one could mask the other's failure, I assumed. The idea of a quinoa salad with cucumber came from here also the instruction to cook it right. I also decided to pair the quinoa salad with a grilled mushroom and sweet pepper on the side. 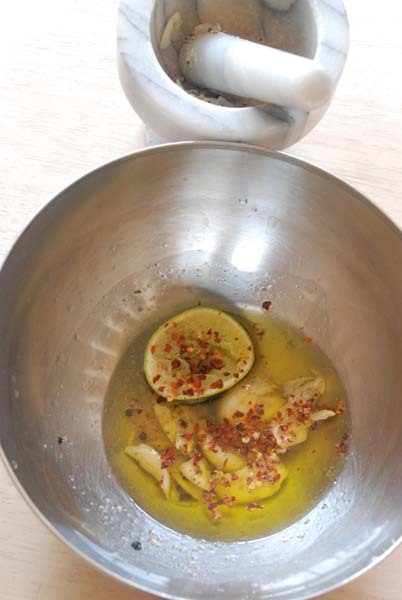 The idea of the marinade for the vegetables came from Progna's blog. 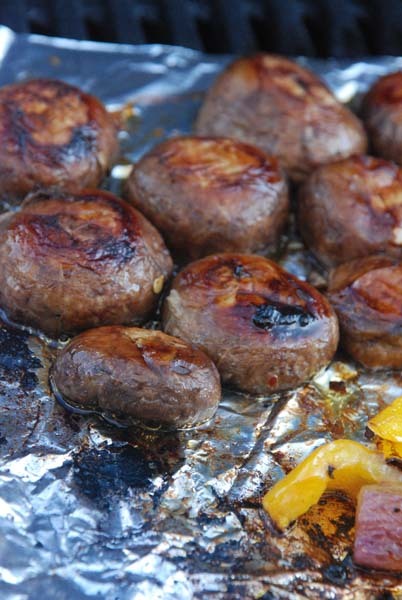 The baby portabella were rinsed, dried and tossed in the marinade along with some sweet peppers. 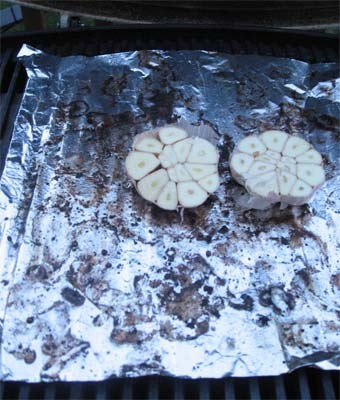 After an hour soaking up the marinade the vegetables were set on the outside grill to char and cook. Alternately you can also roast them in the oven. Meanwhile 1 cup of Quinoa was soaked in water for 5 minutes. On the stove was set to boil a pan with 3 cups of salted water. When the water comes to a boil, drain the quinoa on a strainer and add to the pan. Lower heat to medium and cook for 12-15 minutes. Little thread like thingy will come out from the seeds when they are cooked and the tiny seeds will turn translucent. Once done, drain the Quinoa, put it back in the pan and let it sit for 5 minutes. I also rinsed it in cold water while draining and then fluffed it with a fork. Chop cucumber, red onion and green chili and in a bowl toss them with olive oil, salt and lime juice.Add some finely chopped coriander leaves. Gradually add the cooked quinoa to this bowl and toss. Taste and adjust for seasoning as you go. 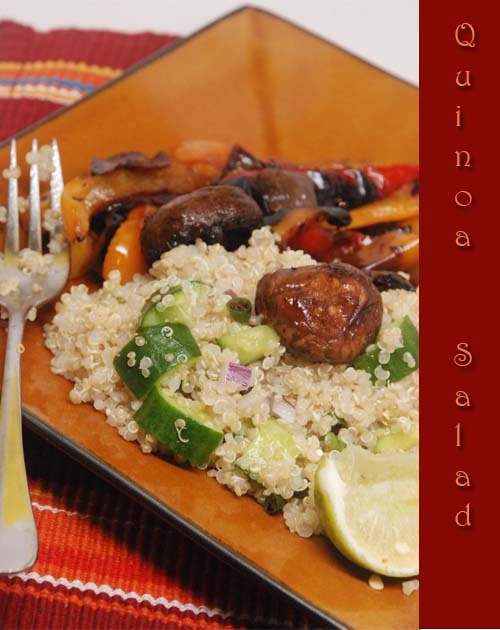 The Quinoa Salad was darn good by itself and we had it with the grilled mushroom and sweet pepper. Faster, Higher, Stronger....the amazing power of the Human Bean. Go Olympics. Now when I had started this post I thought I would send it to Jaya's "Healthy Food--Whole Grain" event. But Quinoa is technically a seed and not a grain so I am not sure if it deserves an entry. Potol. Posto. Potol Posto. Period. Oh no wait...first I need to tell you this conversation I had with Little Sis. Okay ? Okay. Period. So it is one of those days and I am tired and I tell LS: "If I knew magic I could come home from work in a second and wouldn't have to drive so long". LS: " Well, for that you need to ask someone who knows that kind of magic". Me: " Well, how do I know someone like that?" LS appears to ignore this and then after a minute says : "Or you could Dream. Dreams come true, you know?" Me, excited at this optimistic, positive child of mine: "Really? So what do you dream of ?" LS: "Well that I am a famous singer". Whaa...at, really???? " And that I am eating chocolate cake" That is better. "And I am watching Food Network". Really kiddo...this...this is your dream... of watching stupid Chopped on FN. But I don't say all that. Instead I say: "Ahhh that sounds great. So tonight I am going to dream then". At this LS goes into deep thought and then after a minute says : "Well, actually dreams don't even come true. They say all that in the TV. Anyway nothing that they say on TV is true. On TV, Franklin the turtle talks. Do turtles ever talk in real life ? No.They are all puppets on TV and dreams will never come true"
I give up. Let us eat the Potol Posto instead. Don't ask me why I added Onion, you might as well skip it.And if you don't get Potol, don't even dream of it. Will not help. Period. 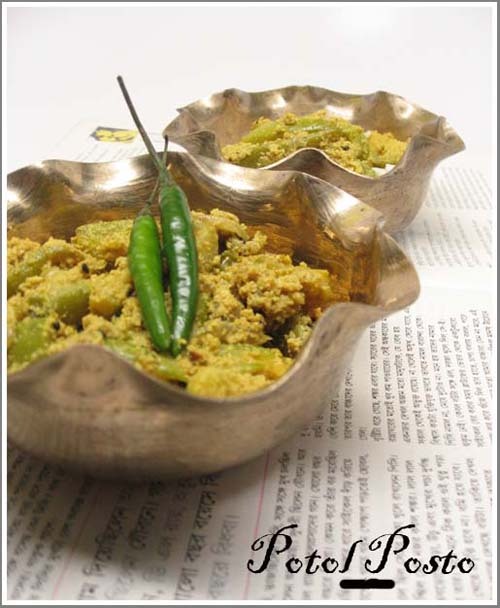 Scrape the skin off Potol/Pointed gourd/Parwal and peel strips in alternate. I had about 10 small potol .Chop each potol in 4 along the length. Chopping in two should have been fine but these potol were not very fresh so I did 4. Toss them with salt and turmeric powder and keep aside for 10 mins. 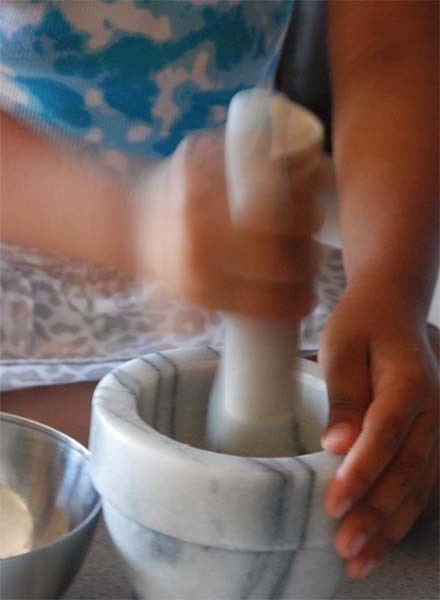 Meanwhile dry grind 1/4 cup of posto aka poppy seeds and mix with little water to make a thick-ish wet paste. If there is not enough oil in the kadhai/frying pan, add about 1 tsp more. 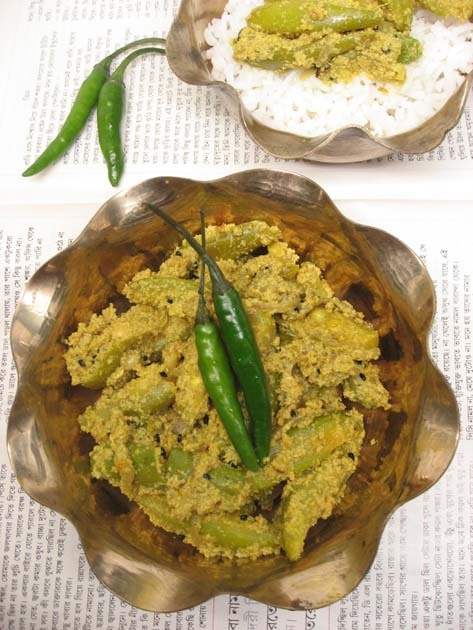 When the oil is hot temper the oil with 1/2 tsp of Kalo Jeera/Kalonji and 4-5 hot green chili slit through. 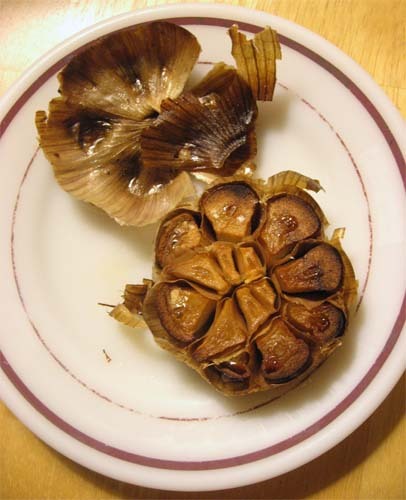 Once the spices pop add half on an onion chopped in thin slices and fry the onion till it is soft and light brown. 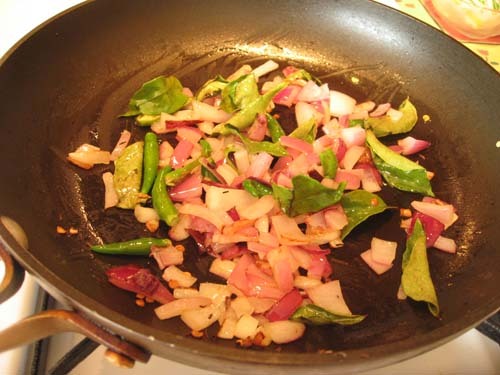 To the pan add the fried patol and toss it with the spices and onion. Next add the poppy seed paste and with sprinkle of water fry for next 3-4 minutes till raw smell of posto is gone. Now add a little more water, a little less than 1/4 cup, add salt, sugar to taste and cover and let the patol cook till done. Remove cover and serve with rice. Most of you food bloggers or food-blog readers must know Ushnish Ghosh, one of the few male Indian food bloggers. Indian male bloggers abound in all other spheres but when it comes to food blogging there are only a few of them holding fort. Ushnish Ghosh, is one of them who not only cooks everyday home food in his Delhi kitchen for his SOMEONE (this would be boudi, his wife) but is also extremely knowledgeable about nuances of cooking and food matter. His years of expertise gives him the confidence to set me correct when I mistakenly call scallions "Penyaj Koli" and make other such frivolous mistakes. 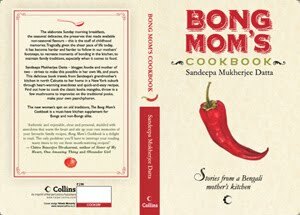 I admire him for his eagerness to learn, his enthusiasm, his fondness for cooking and at the risk of later being chastised I would say if my daughters ever choose to marry a Bong male, I would secretly like it if they chose someone like UshnishDa. I mean he not only cooks delicious dishes but he has so much faith in his wife's driving that he relaxes and dozes off to sleep when boudi is driving. 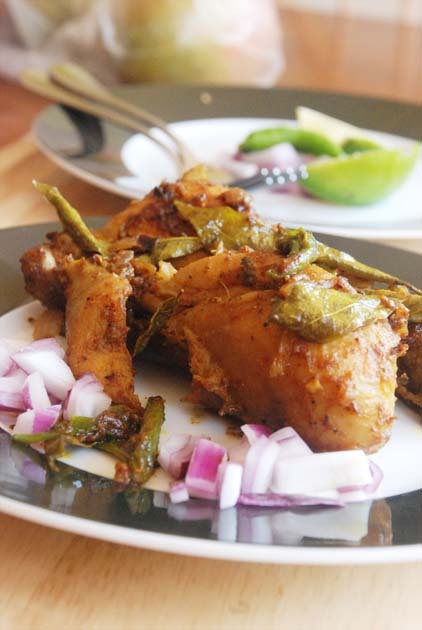 This Roshun Murgi or chicken in garlic is inspired by his recipe. I followed his recipe largely, making changes suitable to me. Like I grilled the garlic heads, just because I was too lazy to peel them. The roasting gave them a more sweeter, concentrated flavor and dumbed down the garlicky smell a bit. Please use raw garlic if that is the path you choose to take. I also went low on the oil and since I had small boneless pieces which I cooked for a longer time at low temperature it worked. Well, ahem, the red chili powder at the end, well please do use the whole amount if you like it hot, hot, hot. If you are chicken then go slow on it. This garlicky Roshun Murgi is an awesome dish which goes very well as a starter. If you happen to make it with little more gravy than mine it can be served as a side dish to Roti and Pulao too. and 1 tsp mustard oil. Puree 2 large juicy tomatoes. Heat 2 tbsp Oil. Add 1/2 tsp of sugar and caramelize the sugar. Add half of the pureed tomato, 1/2 tsp turmeric powder and fry the tomato till the raw color and smell is gone. Now add the chicken pieces and fry the chicken at medium-high heat until the pieces are browned a little. Lower the heat, cover and cook, remove cover and stir and cover and cook again. The chicken will release lot of water, cook till the water dries up. Now add rest of the pureed tomato along with 1 tbsp of Maggi Hot&Sweet Ketchup. Add salt to taste. 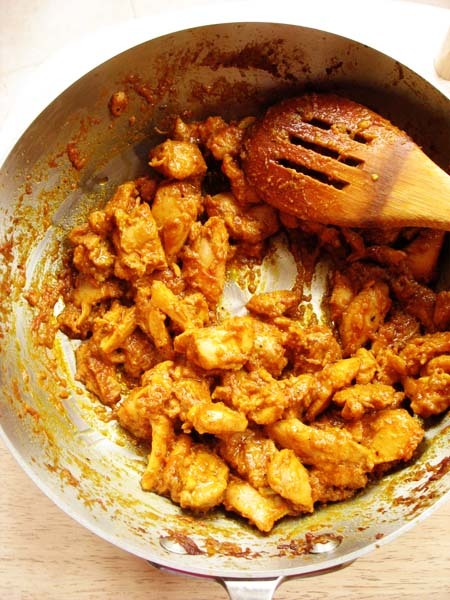 Mix everything together and keep frying till you see the oil seeping out of the masala and chicken pieces. Once the chicken is done and the gravy is thick and clinging switch off heat. Chicken Fry -- did you ever try this? 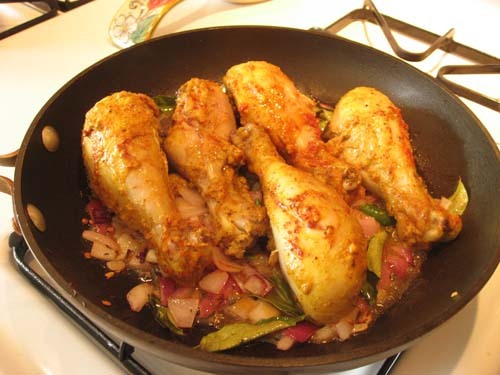 Quick, quick post about the Chicken Fry with mighty fragrant kari patta which I make very often. 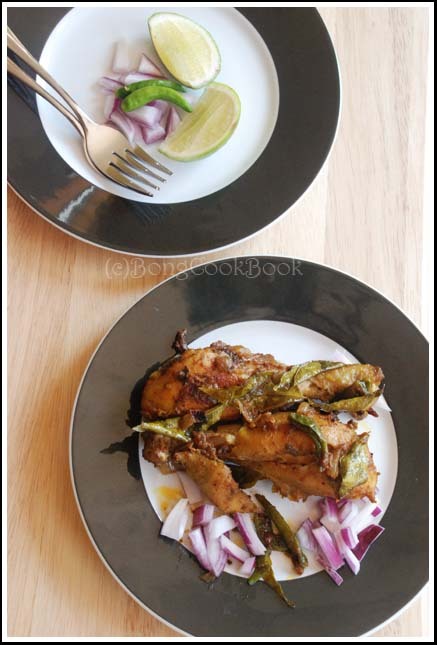 That recipe was based on blogger Sumitha's Kerala Chicken Fry Recipe. She would blog at Kitchen Wonders and this is 2007 I am talking about. Since then as they say "much water has flown under the bridge" and when I clicked on the original recipe link on Saturday, the page said "Permission denied". As you will understand I was extremely sad. There were many recipes of Sumitha's which I am sure I procrastinated on and now there is no way to go back. 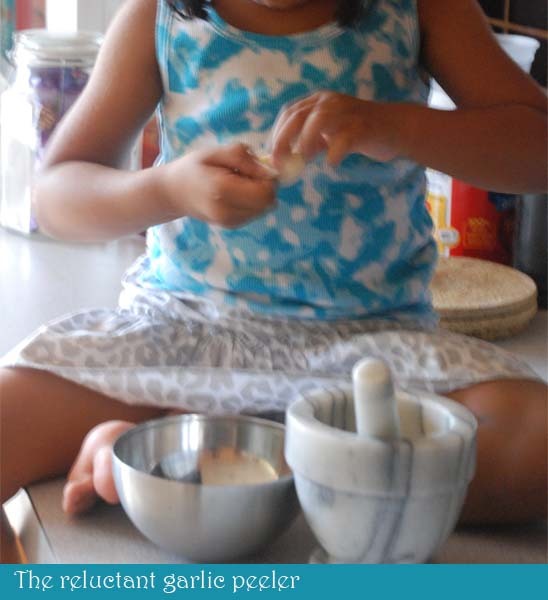 If Sumitha of Kitchen Wonders, you are reading this post please give me access. Puhleese. As of present I can only breathe easy that I had enough oz of sense to note down this easy and simple Chicken Fry recipe. So that you guys can make this easy chicken fry with little effort, I decided to re-post the recipe with some newer pictures I had. Also as I was reading that post of mine, when BigSis was probably 3and1/2, I cannot help but smile. All the insecurities of a first time Mom is writ in bold over there. Maybe I was exaggerating a bit but I do remember, I obsessed about playdates at that time. Now, I am still the Mom with hair sticking out, but I do not go around befriending other Moms and setting up playdates. LS just tags along with BS and not surprisingly she does not have a single friend of her own age.I know it will work out fine and so I hyperventilate over other stuff. Ahhh, some things don't change. 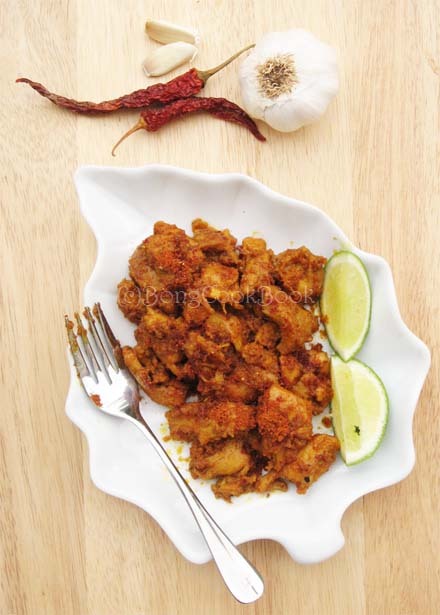 To make this Chicken Fry follow the recipe here: Chicken Fry . If you don't have Chicken Curry Powder use a homemade Garam Masala or Biryani Masala. The latter tastes awesome. The more you marinate the better it tastes. Give it overnight and it is too flavorful. 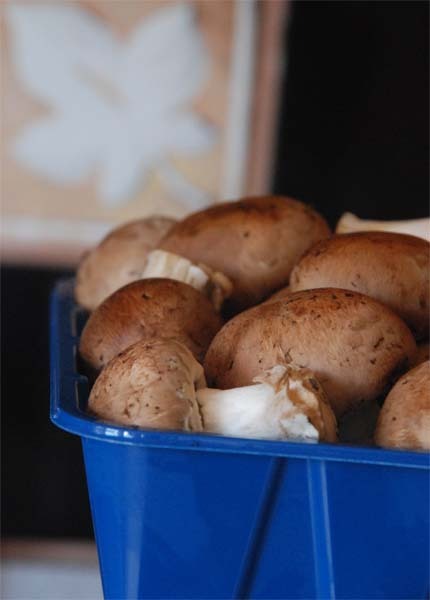 You can also marinate it and then freeze to be used later. I often use chopped onions for frying instead of onion paste. I like that better. Use lots of hot, hot green chilies. 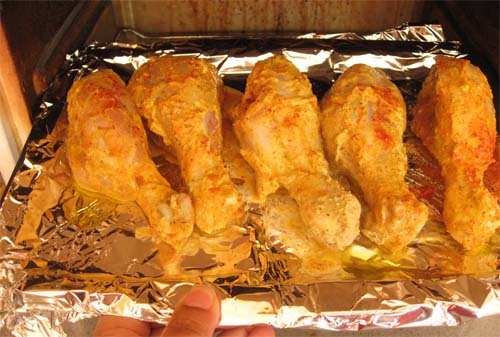 If you don't want to use the oven, you can cook the drumsticks on stove top, in a covered container with little oil and then continue with the second stage. Oven temperature will vary. In my toaster oven, this takes 30-35 minutes at 400F. Also brush with oil before putting in the oven. Finish cooking the chicken in the fry pan. If needed sprinkle water as you go. The last weekend we went visiting a friend whom we have known since donkey's years or whatever years that makes sure that you can sleep in late at their home while the kids are running amock. Now we visit them often, taking on a journey of 3hrs ever few months for their house is a haven where I can rest my weary soul and be jealous of other people. But somehow we have never made it during the summer months for one reason or the other. So this year before making any other plan we had set aside this weekend, right at the start of summer for a visit to K, M and M's home. They in turn had guaranteed a resort like retreat for relaxation. Well, it was way above anything any resort could ever provide. 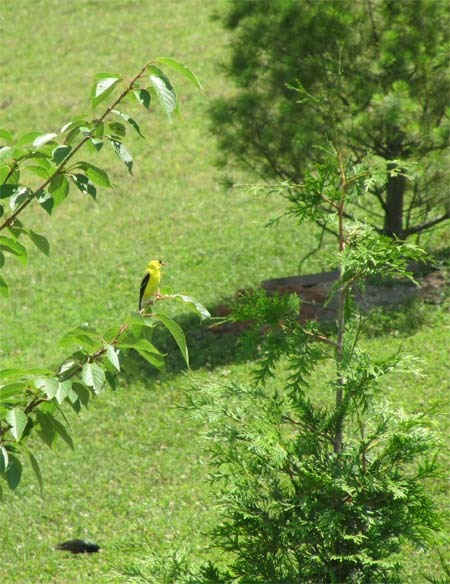 Other than the hours of adda and amazing good food that came one after another starting from luchi and ending in Thai taking a circuitous route through Ilish and Dal-Gosht in between, there was bird-watching right at their backyard. Birds from glowing gold-finch to tiny hummingbirds, red cardinals to blue birds all flock their backyard. K and M have many bird feeders hung up and that is what attracts these tiny birds out of thin air. 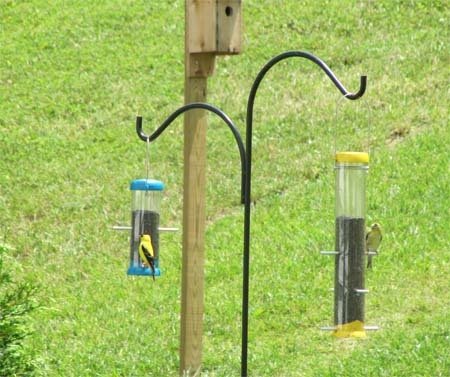 They clearly love all the bird watching and have different kinds of feeds depending on the birds' choice. The American Gold Finch apparently favor Thistle seeds. The hummingbirds prefer sugar water and love red colored feeders. 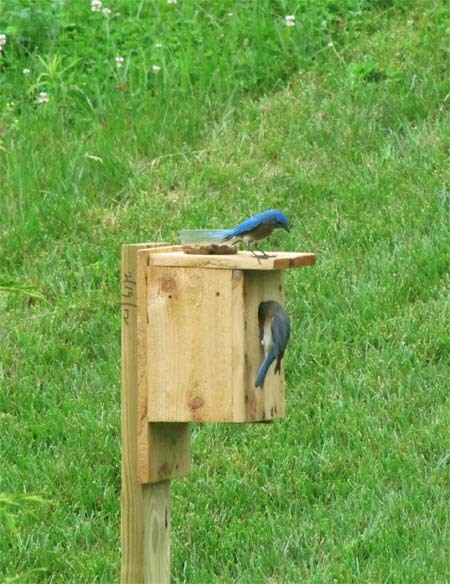 The blue bird is omnivore and prefers insects in its diet. Pheww, picky they are. I have never been with birds so close before unless we take into account my paternal grandparent's sprawling and old home where birds lived along with humans in a peaceful co-existence. Well by birds I mean mostly "House Sparrows". They made their nests in the skylight---ghulghuli as we said, laid eggs and ate rice and fish curry off the dining table. It was not totally unnatural to find straws of hay in your charchari as the arduous male sparrow carried raw material to repair his nest. If it was not hay, it was twigs, or a piece of cane from the rocking chair. The male of the species were always flapping wings around the outer verandah appearing to be very busy in one home improvement project or the other. The female sparrow lived a more relaxed life and I am sure took long naps because many a summer afternoon we would have to sweat out in the sticky heat unable to switch on the ceiling fan because a spoilt sparrow child had chosen that moment to fly across our bedroom in a game of tag. My Thama, who had otherwise accepted the birds as a legacy, would at times get exasperated with the mess they made and get one of those broomsticks with a long handle to shoo the birds away. She never threw away their nests or did anything that would permanently ban their return though. The birds therefore stayed in that house, being neither nurtured nor watched, but living a comfortable life and feasting on fish curry-rice.If I recall I harbored no special feeling towards them. Just like the cats who sat around our feet munching on fish head, or the crows on the banana tree who cawed so deep that it broke the silence of an otherwise sleepy afternoon, the sparrows belonged to that house as did we. Now, after many years, I watched birds. By Choice. 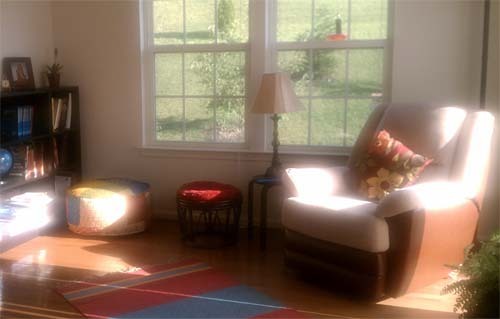 I took my tea and sat out there in the mornings watching those colorful birds, the sophisticated cousins of my once home's "house sparrow". But as is my norm, I did not take my camera along and was not able to capture good pics on the camera. Some of the bird pics are from K from another day. The food T the K's home as I have said was gorgeous and the Dal-Gosht that K made on Sunday was something I have never had before. Goat meat cooked with chana dal to a softness that is downright sinful, it is a beautiful dish. K said he had followed the recipe from this youtube video. I watched the video and it was pretty simple to follow. However we do not eat a lot of meat at our home and so I wasn't going to try out this recipe for a while. But it was so good that I thought some of you might be interested. I therefore decided to post the recipe, roughly as K said which actually religiously follows the You Tube video except for the amount of Oil. 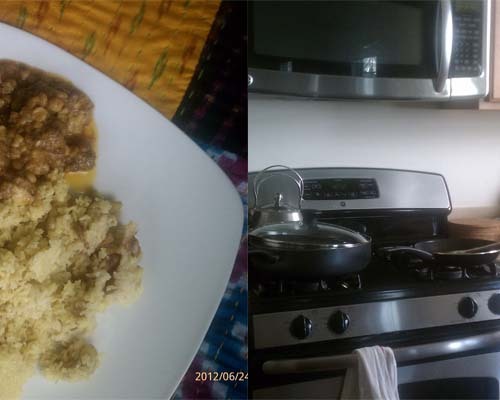 Since K's goat meat had fatty pieces he let it cook in its own fat instead of adding too much oil. At least that is what he told me. Wash and clean about 1.7-2lb(approx one and quarter kg) of goat meat. Cook the meat for about 4-5 minutes at full pressure. Close lid and cook for 2 more minutes. Don't cook too much else the dal will be mushed. Check to see the meat should be cooked by now.